Amazon Web Services (AWS) is looking to bring machine learning (ML) to ordinary developers, launching the SageMaker service to simplify building applications, reports Enterprise Cloud News (Banking Technology’s sister publication). ML is too complicated for ordinary developers, AWS CEO Andy Jassy said at a keynote during the AWS re:Invent event. “If you want to enable most enterprises and companies to be able to use ML in an expansive way, we have to solve the problem of making it accessible to everyday developers and scientists,” he said. Amazon has a long history of ML, Jassy says. “We’ve been doing ML at Amazon for 20 years,” he said. Amazon uses it for product recommendations on its retail sales side, to optimise the robots that pick merchandise at its warehouses, for its drone service, for Alexa speech recognition, and more. Twice as many ML workloads from customers run on AWS as run on any of AWS’s cloud competitors – five times as many for enterprise workloads, Jassy said. And yet it’s still early days for this field, particularly for the enterprise, Jassy said. Most companies don’t have an expert ML practice yet, as expertise is in short supply, and most of the experts work at big technology companies. “Developers throw up their hands in frustration,” Jassy said. To help put ML within reach of everyday developers, AWS introduced SageMaker, which Jassy described as an easy way to build, train and deploy ML models. SageMaker is designed to ease the ML jobs that are now difficult: collecting and preparing training data, choosing and optimising algorithms, setting up and managing environments for training; training and tuning a model; deploying the model in production; then scaling and managing the production environment. SageMaker comes preloaded with leading ML algorithms, or users can provide their own. And to help developers get familiar with the basics, AWS introduced DeepLens, which the company bills as the first wireless, deep-learning enabled video camera. 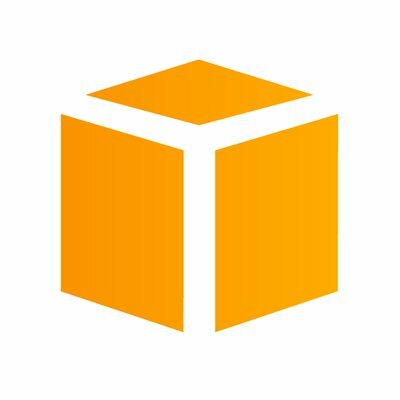 AWS sees developers using DeepLens to build simple applications that teach ML principles. ML and artificial intelligence (AI) are hot areas of competition for cloud providers, where contenders see opportunities to catch up with AWS’s long lead in market share. Google introduced TensorFlow, its cloud-based platform, in 2015, and this year introduced TensorFlow Processing Unit chips to improve performance on its Google Compute Engine. Also this year, Google launched an investment fund for AI start-ups. Microsoft outlined its AI plans in a plan it calls Project Brainwave, which it described in August. IBM is developing a Distributed Deep Learning software library to improve scalability and performance for ML and AI. And Oracle added ML, AI and automation for internet of things (IoT) deployments in August, as well as juicing its Customer Experience Suite with AI. Infrastructure-as-a-Service (IaaS), Platform-as-a-Service (PaaS) and Software-as-a-Service (SaaS) continue to grow. Plans to integrate X15 Software's platform into its own security tools. Amazon looking to buy Capital One? Amazon is rumoured to be pondering the acquisition of Capital One. Banking Technology contacted both parties for a comment but received no response.